”Rock fossils”, which shows the fossilskulpturer named after rock stars, is a traveling exhibition curated by an international group of scholars and artists where Eriksson included. The exhibition has so far been shown in Denmark, Norway, Switzerland, Germany and Luxembourg. Eriksson are researching for everyday wear at microscopic fossils and is also an inveterate hårdrockfantast. Among other things he has named the newly discovered fossils of known hårdrocksartister and written lyrics about the fossils in the hårdrocksgenren, and now comes his book ”Another primordial day – the paleo metal diaries”. The aim is to convey the link between science and art. after all, by a burning passion for the subliminal complexity of our existence,” he says in a press release from Lund university. 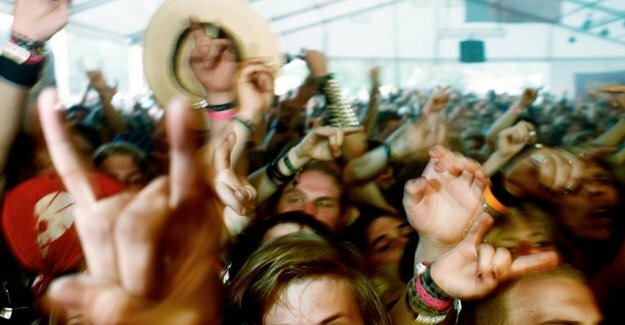 Sweden Rock takes place in Norje, outside Sölvesborg, 5-8 June.